If you are tired of looking at those prosaic utensils of yours, the plain pots and dull glass jars, here’s an original idea found on Free People Blog of how to apply decoupage techniques on a simple glass jar. 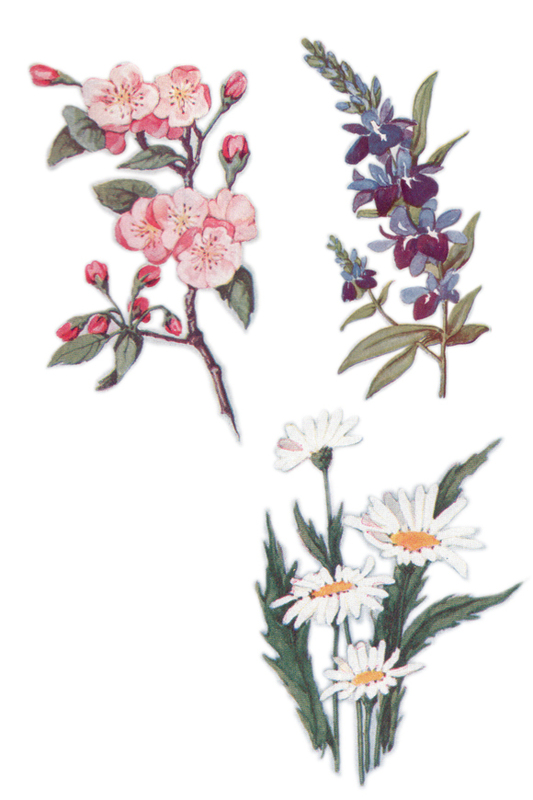 Let’s first explain that decoupage techniques are a fun and easy way to transform a common household item into an amazing piece of art, using a collage of cut out pictures, decorative papers, computer printouts, and even photographs. 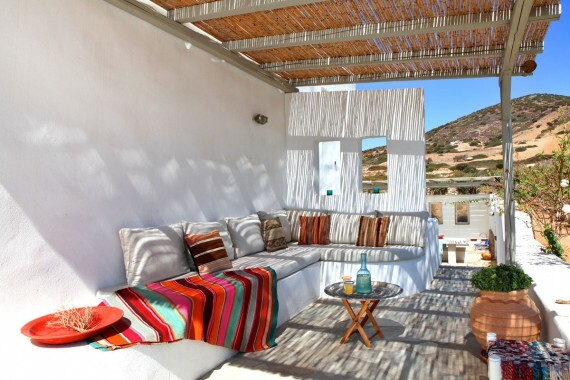 You will find out that the result is more than charming! 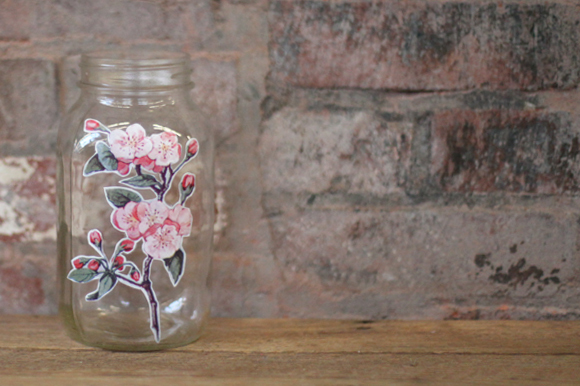 What would you need to decoupage a jar? 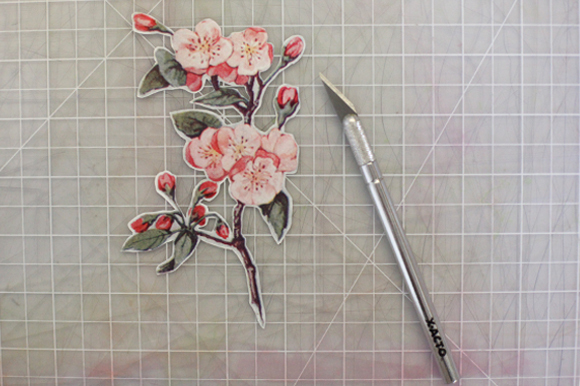 To start with, carefully cut out the decorative item; use the cutting board and knife. 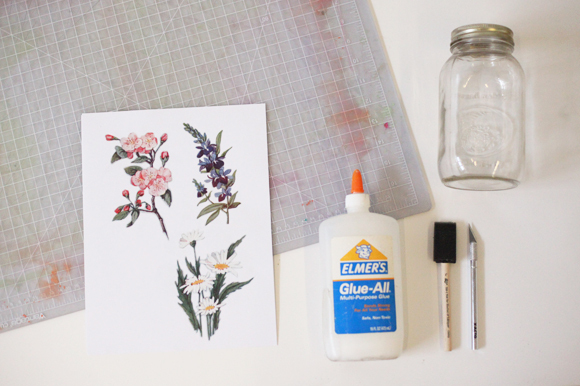 Decide where to position it best on your decoupage mason jar. Clean that area with some alcohol. 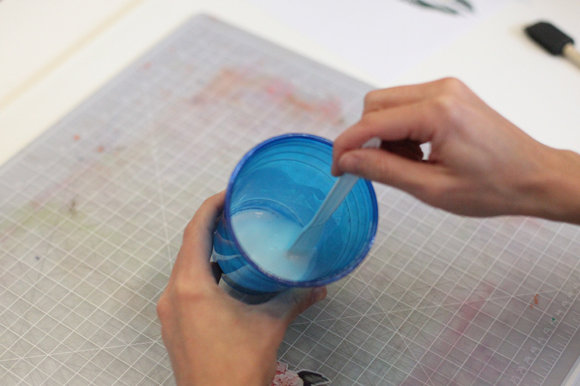 Mix 50% of the universal glue with 50% water to create watery paste, or use the decoupage medium directly. 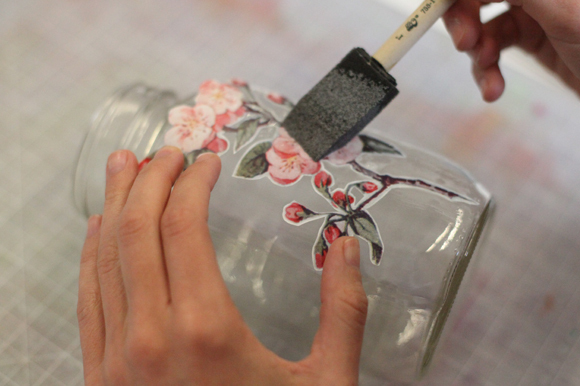 Using the brush or the sponge, apply a very thin layer of glue on the jar surface and stick the decoration on. 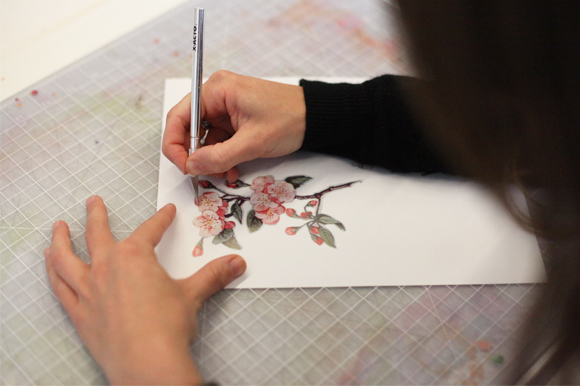 Apply some decoupage medium on top of the decoration, too, but not too much – we wouldn’t want to spoil it, would we ?! Be sure not to leave air bubbles between the glass surface of the jar and the paper. Let it dry. For a long-lasting effect, you can finally apply some nail polish over the surface. Voilà! Enjoy the new look of your jar! 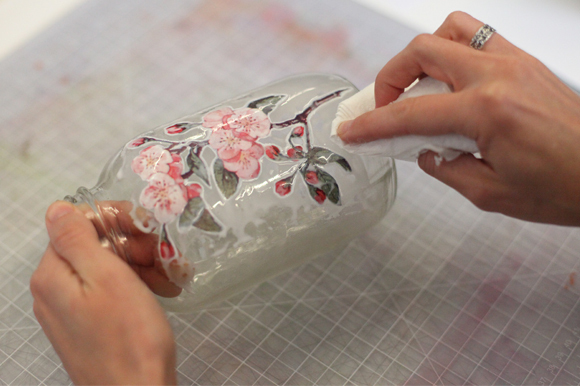 Wondering how to decoupage on glass bottles? The technique is absolutely the same!